Rachael, Rebecca and I get together almost bi-weekly to catch up over apps & drinks. We realized, as of late, that we've been hitting our usual favorite restaurants over and over again. In the new year, we committed to trying places that none of us have been to yet. 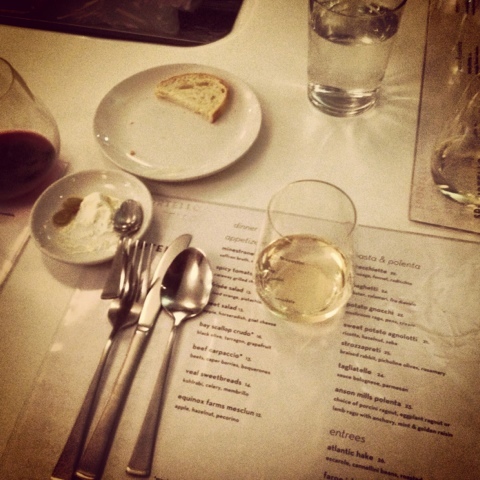 Tonight, we went to Sportello in South Boston near Seaport. I talk about "health in friendships" a lot. Having healthy relationships should really be the foundation to your healthy lifestyle. My friends and family mean the world to me. Fitting in quality time with the people that mean the most to you... is healthy. Let me tell you about the food... here's how we started: 1 red, 2 Proseccos. Bread. Rachael and I have VERY similar palettes and even usually share a couple of different appetizers rather than getting our own meal. 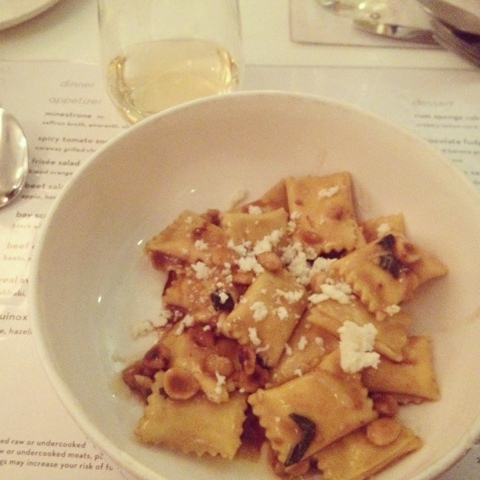 Here, we both got separate portions of butternut squash angnolotti. Becca got the tagliatelle bolognese. (She always gets that (or a steak) and we always take a bite). Both were amazing. I end most nights with peppermint tea. 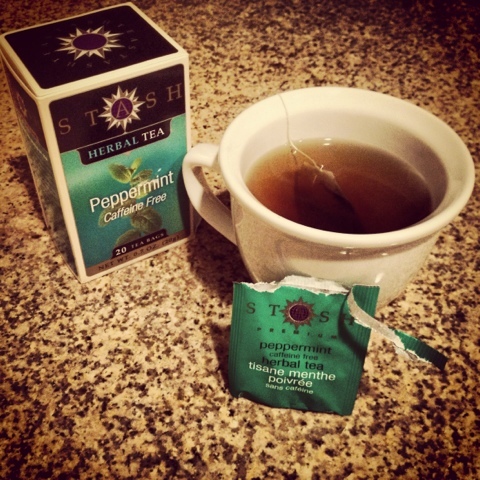 My mom always told me that peppermint aids in digestion. She was/is correct. I absolutely love it. Have a fabulous friday. xo.